The two Bulgarian representatives in BIBL - Beroe and Akademik Bultex 99 met in a friendly game in Stara Zagora. The match was an interesting one and at the end the visiting team won 93-87. The two teams went in to the break with the score tied and then Akademik did better in the third period. The Plovdiv side took an 8-point lead at the end of it and managed to hold on until the end. Peter Olisemeka was the top performer for the winners with 20 points and 16 rebounds. 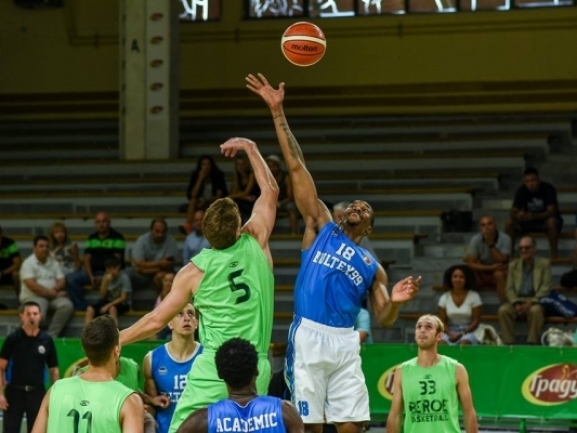 Daishon Knight and Mladen Vitkovic also did well by scoring 17 points apiece. Beroe was led by Adonis Filer who had 22 points while Dallyn Bachynski had 19 and 11 boards. The team was missing four national team players and its head coach Lubomir Minchev in this game.